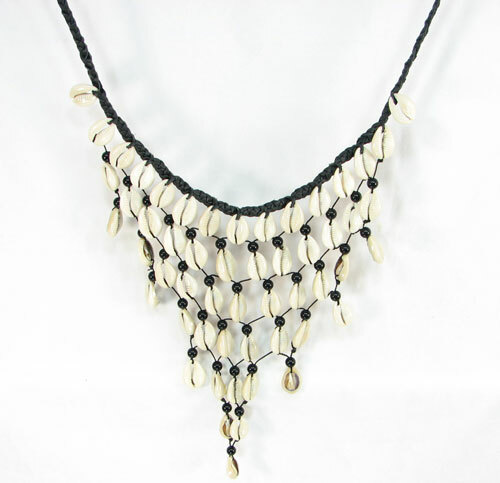 This beautiful leather and cowry shell florence style necklace was handmade in Kenya. The 18" braided leather cord fastens in the back by tying a knot or bow. The 7 rows of cowry shells hang down about 8.25" in the front center. This necklace looks great alone, and even better with matching earrings. See link below.